There’s nothing better than relaxing with family and friends over a few drinks and a BBQ, sheltered from the summer heat or winter rain. Why not extend your entertainment options and living space with a beautifully designed and manufactured patio from Shed Alliance? We offer a wide range of patios for your new home or extensions at an extremely competitive price. Our ShedTech Design Software gives us the ability to provide you with flexible design options and customise your patio for any unique site conditions. You can choose a flat or gable topped shelter and over 20 COLORBOND® shades for your roofing and raingear, ensuring your new patio blends seamlessly with your existing structures. Features such as skylights or insulation, further enhance your comfort and style. Patio columns can be either attached to a slab or set in concrete footings, and because we only use the strongest beams and columns, we eliminate the need for support in the middle of the space, maximising your usable area. We’re ShedSafe accredited which means you’re guaranteed to receive a quality patio that meets or exceeds all the relevant Building Code and Australian Standard requirements. 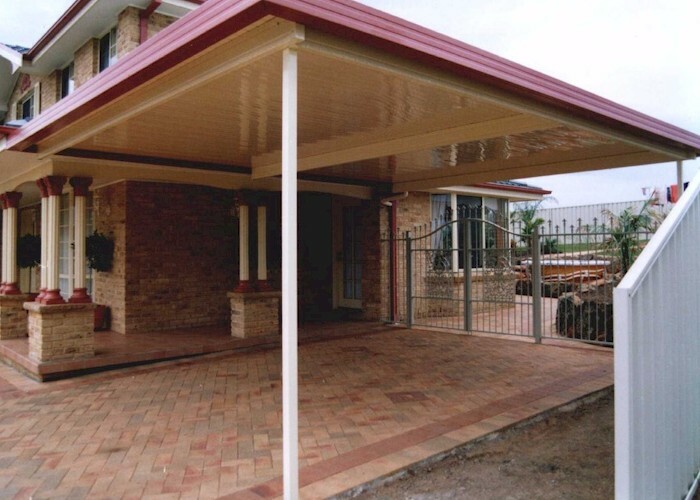 We use tough BlueScope galvanised steel for construction which comes with a 15 year guarantee, ensuring your patio will remain maintenance free and looking good for years to come. Our DIY patios come pre-punched and contain every component required to erect the structure. Detailed but easy-to-follow instructions allows a handy homeowner to build their patio over the weekend. But if you’d rather someone else put in the time and effort, we can connect you with a reputable local tradesperson who can construct it for you. Shed Alliance has over 100+ locations across the country and offers FREE or substantially discounted delivery options to practically every address in Australia. 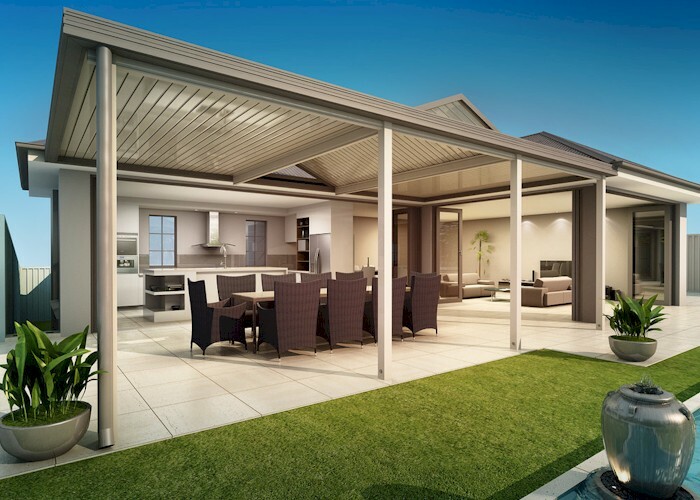 If you need a quote or advice for your new outdoor living space, call our expert support staff on 1300 503 888 now, or use our secure Online Quote form HERE.